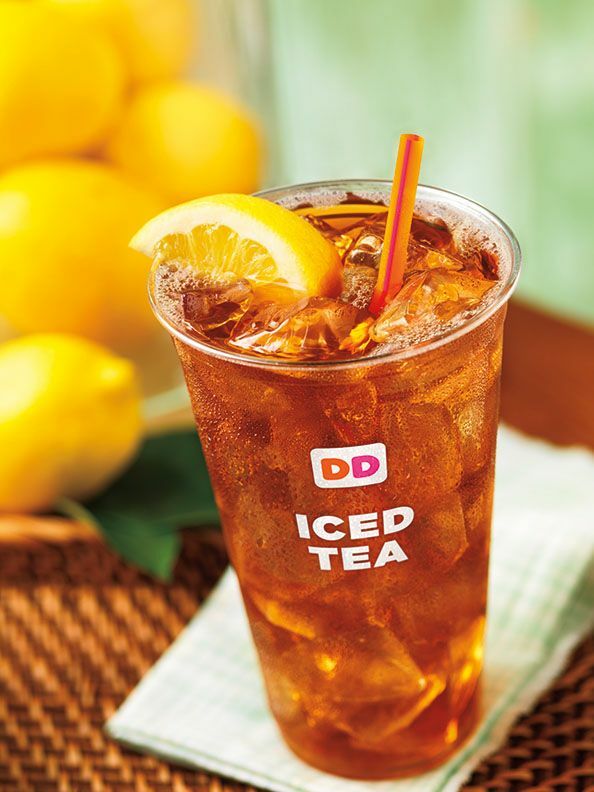 CANTON, MA (June 10, 2015) – Today, June 10th, is National Iced Tea Day, and Dunkin’ Donuts is putting the “tea” in celebration with a special offer to help everyone enjoy the holiday with a refreshing iced tea. Dunkin’ Donuts has teed up a special mobile offer for any size or variety of Iced Tea for 99 cents* at participating Dunkin’ Donuts restaurants throughout the U.S. The offer is available and redeemable today through June 30 via the “DD Perks” tab of the Dunkin’ Mobile® App, the brand’s app for mobile payment and gifting. The Dunkin’ Mobile® App is available for free from the App Store on iPhone or iPod touch or at www.itunes.com/appstore and from the Google Play Store at https://play.google.com/store. An increasingly popular choice for guests seeking a better-for-you beverage option for keeping refreshed throughout the day, Dunkin’ Donuts’ freshly-brewed Iced Teas are made-to-order, unsweetened or sweetened, and available in a fun and fruity variety of flavors including Blueberry, Raspberry and Peach. With five calories per 16 ounce serving, a small Dunkin' Donuts Unsweetened Iced Tea offers a crisp, cold and convenient way to quench your thirst. To help guests stay cool through the hot summer months, Dunkin’ Donuts also offers several regional iced tea options, available only at participating Dunkin’ Donuts restaurants in select markets throughout the country. For example, in the southeast region Dunkin’ Donuts offers Sweet Tea and Sweet Tea Lemonade. Dunkin’ Donuts Sweet Tea features Dunkin’ Donuts’ Iced Tea with a sweet twist for authentic Southern-style refreshment. Dunkin’ Donuts combines this beverage with delicious lemonade to create its Sweet Tea Lemonade beverage. In the Northeast, New York City and Chicago regions, Dunkin’ Donuts offers guests Iced Green Tea, containing 30% tea sourced from Rainforest Alliance Certified™ farms that are managed according to rigorous environmental, social and economic criteria.